As the rare whisky auction market in the UK has exploded over recent years, it’s become increasingly challenging to regularly feature coverage for each auction-house. We’ve taken the decision to produce a more holistic rare whisky review rather than a weekly auction watch featuring just one auction-house. While we plan on focussing on the secondary market, we’ll also feature important primary market releases and our opinion on pricing, value and market impact too. We’ll ultimately be producing fewer reports but we hope our readers continue to enjoy our market commentary. We welcome feedback, suggestions and recommendations for future content. Macallan are experiencing a sea-change in both demand and pricing for their, among others, classic 18 and 25 year olds. The increases through 2016 have been utterly mesmerising; almost unlike anything we’ve seen before. The 18 year olds have seen a 34.13% increase through 2016 and the 25 year olds by 26.14%. 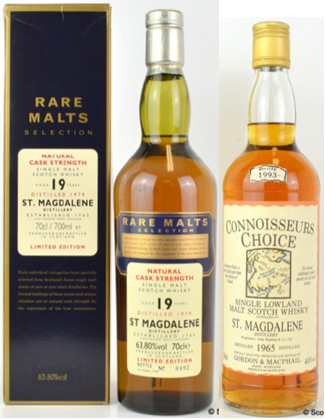 Scotch Whisky Auctions June sale pushed certain values further with a notable 1963 Macallan vintage (pre the more traditional 18 year olds) fetching a huge £2400. Buoyancy remained but looked to stabilise a little more for many other bottles of vintage 18’s as they continued to trade at the top of the market. The below Rare Whisky extract shows the volume and annual average value for the Macallan 1972 18 year old. Bottles are vanishing from the market and values are soaring. A robust correlation? Contemporary Macallan bottles continue to underperform the broader market. William Grant’s highly collectable Hazelwood Reserve (the first of the five bottle set commemorating respective birthdays of Janet Sheed Roberts) has always been the most desirable of the set. This was last sold at auction in the UK for £420. That price seemed a distant memory as the current market fetched £2200. The index below shows the combined performance of the five bottles. The impact of this recent sale is clearly evident but the remaining four bottles continue their negative trajectory. We suggest this particular bottle was bought by a collector looking to complete the set. As this is the most challenging bottle to acquire, for a completist collector price is often not the biggest barrier… simply finding one is! Old 1980’s Lagavulin had more or less doubled in value over the last 3 years. £920 was paid for a poor fill level White Horse 1980’s bottle. These old gems are becoming less frequently seen in the market. Are the remaining bottles being hoarded or are they being drunk? The answer to that in some respects will define future values. These old, hard to find discontinued releases, look to provide further value to the collector and investor; but is there value to be had out of the current retail/primary market? We look at that a little later. Illustrating how influential and important the secondary market has become, some of the largest rare whisky retailers have now established auction based routes to market. 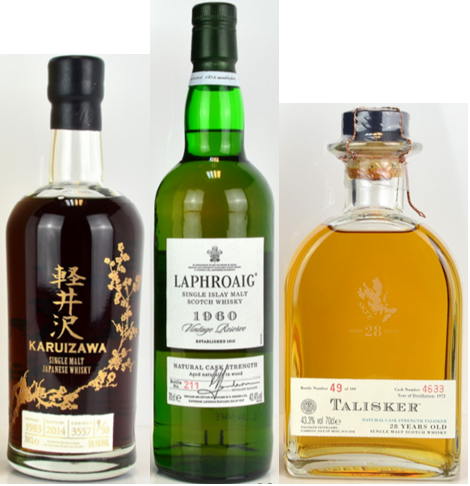 The Whisky Exchange’s online auction – Whisky.Auction is one of those. Showing continued heightened demand for the rarest of examples, a bottle of Port Ellen 2008 Feis Ile sold for £3,700 in their June auction far exceeding its previous £3,400 record. Bonhams June auction brought two notable rarities under the hammer. One of the 77 bottles of Dalmore Candela fetched a record £13,000, significantly up on its 2014 previous best of £10,600. The second bottle was interestingly a blend rather than a malt when an early 1900’s bottle of Johnnie Walker managed a very respectable £6000. Whisky Auctioneer’s most recent auction ended on the 30th of May and was a generally buoyant affair. That said, a bottle of the 1953 Glenfarclas Wealth Solutions bottle came well down from its October 2015 high of £5,200. This bottle settled well below previous sales when it finally sold for £3,900 (broadly in line with its 2013 prices). Tobermory isn’t necessarily the distillery most associated with collecting and investing, however, further cementing the underpinning of the whole market by liquid quality, a bottle of 1972 33 year old Tobermory sold for £735. We were fortunate enough to be able to sample this bottle on a recent treasure hunting trip and we were both bowled over by this exceptional spirit. Final mention has to go to Whisky-online Auctions superb £8,200 result for a bottle of 1967 ‘Largiemeanoch’ – which is Gaelic for stunning sherry cask Bowmore! This bottle appeared expensive when it first sold in the UK for £2,350 in 2012, a price now dwarfed by recent market performance. Old, rare and high quality whiskies continue to be the subject of desire to a growing international audience. This sustained demand is pushing prices ever higher. While demand remains as it is and supply (of the right bottles) is relatively low in the grand scheme of things, this continued buoyancy looks set to continue. Some of the exceptional increases we’ve seen over recent months would appear to need to cool down a little. We can’t physically see the Macallan 18 year olds progress on the same trajectory. We envisage a cooling is required in certain areas of the market to restore balance; however, we don’t expect a significant re-trace… equally we never say never. Continuing Lagavulin’s 200th birthday celebrations, a new 25 year old has been released. 8,000 bottles (slightly fewer than the 2002 release’s 9,000) wholly matured in sherry casks will cost £799 per bottle. Does that represent value to the collector and investor? Firstly, the dedicated Lagavulin collector will undoubtedly need to buy this bottle but we see little immediate reward for the investor. The 2002 release 25 year old sells on the secondary market for around £500 – £600. While, to some degree, we’re not speaking from a position of absolute knowledge as we haven’t yet tried the liquid (but we will be), we suspect a similar auction price-point could be achieved in the short to medium term e.g. a 20% loss over retail price. If the liquid is utterly stellar, secondary market prices could be a little higher. From a pure pricing perspective, at £799, the Lagavulin has positioned itself above virtually every other 25 out there. The current 25 year old Macallan sherry oak can be found for the same price. 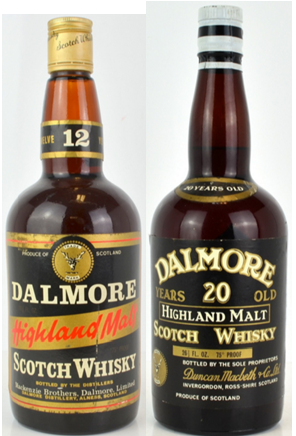 Dalmore’s pricing was decreed as outrageous when their recent 25 year old hit the market for £600 (that now sells at auction for around £400). Both Highland Park and Glendronach (Grandeur) can be found for around, or under, the £350 price point. Two worthy drams in anyone’s book. Looking at some others – Glenmorangie can be found at £250, Glenfiddich is £299 and Diageo stablemate Talisker is a mere snip (it actually really is) at £230. OR how about half a case of Glenfarclas 25 year old (£120 per bottle) for more or less the same price? We’re not saying the pricing is wrong, bad, good, superb or indifferent, just interesting. Once we’ve tried the liquid we’ll be able to comment with absolute knowledge.